The Garland Movie Theater opened in late November 1945 to a line that stretched around the block with the movie It's a Pleasure, starring Sonja Henie. 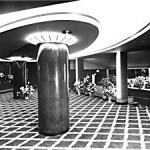 According to the Spokane Daily Chronicle the Garland was nothing less than state-of-the-art, "modern in every detail, the blue and wine auditorium drew particular comment on the continental seating and extra-large spacing between rows. Germicidal lamps on the walls keep the air purified. The lobby was lined with baskets of flowers." 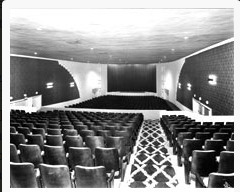 The original capacity was near 1,000 seats, although today that number is 630 due to larger seats installed to meet modern standards of comfort. Fourteen years after it opened and still "Spokane's newest and most modern theater" (Spokesman Review. 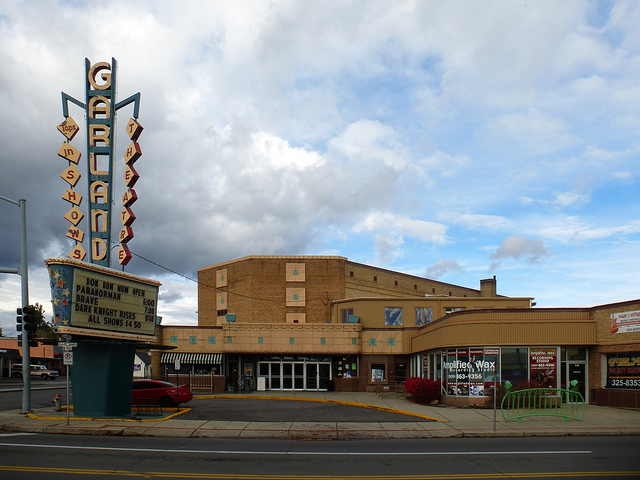 May 16, 1960) the Garland Theater merged with the Favorite Theater operation which owned several theaters in the Spokane area, including drive-ins on East Sprague and East Trent. Several upgrades accompanied this merger, including new carpeting and newer seats. After changing ownership again in the early seventies to the Sterling Recreation Organization based out of Bellevue, the Garland Theater found itself with a bit of controversy on account of their new foray into X-rated movies. According to the Spokesman Review "'Madam Kitty' and 'Emmanuelle' are the first X-rated films to be shown at the Garland since 1972 when 'A Clockwork Orange' was screened for several weeks" (Feb.1, 1977) 'Rocky,' by the way, played alongside these two X-rated films for several weeks. Thanks in part to the changing times the Garland Theater closed its doors between 1986-1988, struggling to compete against the new Cineplex's that came to dominate the movie-going marketplace. Don Clifton bought the Garland in late 1988, converting it into a discount theater, which it still is today. As Clifton said at the time, "The Garland draws fans from two basic groups: the people who usually wait for video, and the people who want to see a specific film again but don't want to pay a full price." This discount model that Clifton describes has lasted until present day, even as ownership changed hands once again in 1999 to Katherine Fritchie. It's A Pleasure: Starring Sonja Henie This was the first movie screened at the Garland Movie Theater. Photo courtesy of Garland Theater. The Lobby: It's unique interior, as seen here in the lobby, is part of what made the Garland Theater the premiere movie house in Spokane for nearly twenty years. 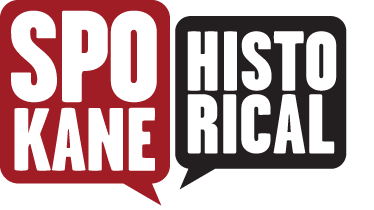 Tyler Sparing, “Garland Movie Theater,” Spokane Historical, accessed April 20, 2019, https://spokanehistorical.org/items/show/252.